The Big Wobble: An outbreak of a highly contagious H5N1 bird flu virus outbreak in a childrens park in Nepal: Authorities on high alert. An outbreak of a highly contagious H5N1 bird flu virus outbreak in a childrens park in Nepal: Authorities on high alert. The H5N1 influenza virus, commonly known as bird flu, has been detected in birds at a children park in Taltalaiya, Sunsari. Tests at Biratnagar-based Regional Laboratory and Central Veterinary Laboratory in Kathmandu confirmed the H5N1 virus on the dead birds from the park. Shiva Narayan Mahato, chief at the District Animal Service Office in Itahari, said the authorities are on high alert to prevent possible outbreak. 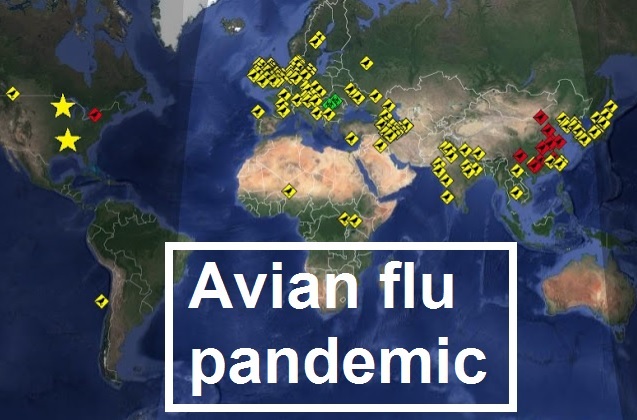 He added precautionary measures have been adopted in the area as the central laboratory sent a letter on March 6 with the confirmation of avian flu. The park has been shut for general public for a month to prevent the influenza from spreading to human, Mahato said. The authorities are working to bury the dead birds. The Taltalaiya Deve-lopment and Conservation Committee had closed the park and sent samples to the regional and central laboratories on March 2, suspecting bird flu as the birds died continuously for the past one week. This is the first reported case of bird flu in the eastern Tarai this season. The bird flu was detected in dead fowls at a poultry farm of Khaltemasina in Pokhara last month. The District Livestock Services Office had confirmed the virus in the poultry farm after the laboratory tests on samples returned positive. Taltalaiya Development and Conservation Commi- ttee General Secretary Ramesh Adhikari said that a number of animals and birds had died in the park over the past week. The death of turkey, peacock, Eurasian eagle owl, swan, guinea pig, among other, raised suspicion and the committee decided to send samples for lab tests. The park which houses some 22 species of rare birds receives 500 visitors daily.